Damnit all I hate to be the bearer of bad news sigh! I have to break it to you but Kat Von D Tattoo Concealer isn’t going to cover up any tattoos you might have and it’s kinda sorta over priced. Got lots and lots to conceal? Dark circles? Puffiness? Fine lines? Full blow wrinkles? A pimple or two? 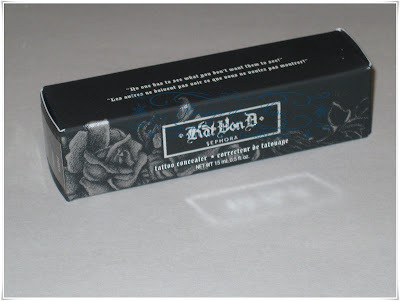 Kat Von D Tattoo Concealer has you covered, literally. If it’s heavy duty you seek, heavy duty you’ll get with this brand new concealer from tattoo artist Kat Von D. This creamy concealer promises to become your secret weapon at concealing it all including tattoos….ok let’s not get too crazy now Kat…this is SO not going to hide tattoos. It’s pigmented that’s for damn sure but NOT that pigmented. Paraben-free and ready to service your problem areas this one is well worth laying down $25 USD for. First of all major prepping is required as the formula is very creamy but it does dry down to a matte finish would could age eyes and cause more dryness in an already dry area. In my case, my under eye area is like the Sahara Desert so I do have to be careful with this. However, with proper prepping and priming you’ll happily be able to blend away imperfections under your eyes and virtually cover everything up with fantastic results for a smooth, flawless finish. This could become HG material for me. 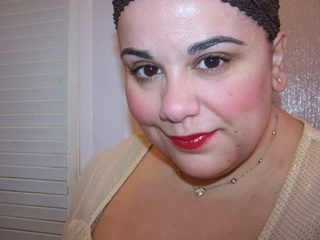 The coverage is comparable to nothing else I own and is on par with theatrical makeup such as items from Ben Nye or Kryolan. It’s heavily pigmented so if you’re suffering from heavy dark circles this will instantly become your new best friend. I don’t have terrible dark circles but I do have tired eyes in the morning and puffiness which I seek to conceal for a fresher more awake look and this does that in aces and spades. The product blends fairly well but it does feel rather dry on and has the potential to crease and cake so as I mentioned prep, prep, prep prior to use. It’ll settle into fine lines so use a tiny bit as that’s all you really need considering the pigmentation on the product. A little goes a long way and too much will just cake, crease, and settle into fine lines. Price tag…hmmmmm $25 bucks…that’s alot of money. I know how cheap of me right? 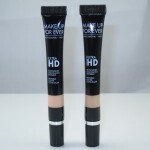 But Make Up For Ever Lift Concealer is $22 USD….and this is $25 USD…kinda costly dontcha think? But in it’s defense I will say it’s worth it. 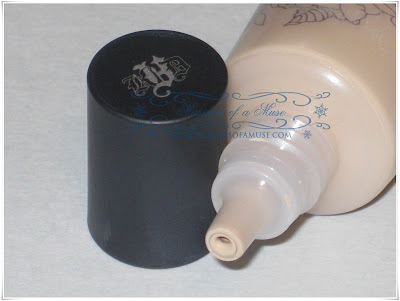 If you thought that Make Up For Ever Lift Concealer wasn’t dense enough and had a watery formula you may very well adore Kat Von D Tattoo Concealer as the formula is a good deal creamier and heavier but it does have the potential to look unnatural so again I’ll remind you a little goes a long way. I’m Muse Approving this for purchase simply because it does hide major baggage. If you’re looking for a seriously pigmented concealer that will cover it ALL up I highly suggest snagging one of these. I really liked it and I’ll definitely pick up another when I’ve run through this tube. 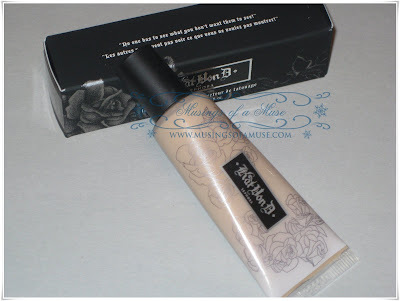 Now, a bit more then a year later, what do you think about this concealer? That’s how dark (blue/blackish) my circles are! 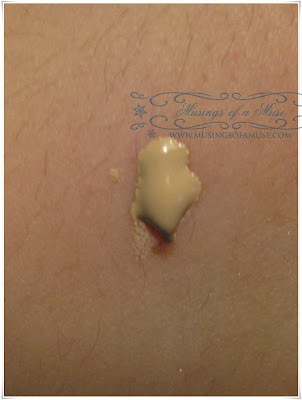 Do you still use this concealer of have you tossed it away? What shade is this that you bought? hey muse, believe it or not apparently there’s INSTRUCTIONS on how to use the concealer to cover your tattoos on sephora.com! it makes me laugh xD anyhow i was wondering how this would compare to some other brands of concealers – say the UD 24/7 concealer pencil? 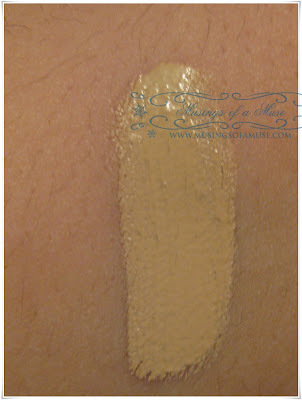 or MUFE’s full coverage concealer? LOL really jen!? got a link!? very different considering UD is a pencil so they apply much diff. I’d buy this for full coverage over MUFE’s to be honest as it’s quite good. 😀 hope this helps! – Step 1 – PREP: Draw over your tattoo with the Tattoo Eraser, following along the edges then filling in the area. 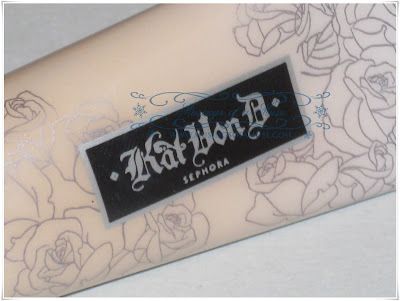 – Step 2 – CONCEAL: Apply Kat Von D Tattoo Concealer over the tattoo and surrounding area using the concealer brush; let the concealer dry between layers; pat instead of “blending”. – Step 3 – PERFECT: With a sponge, use a mattifying powder foundation over the area. 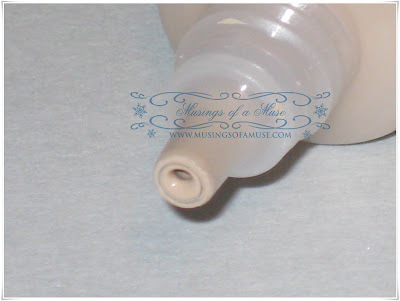 – Step 4 – SET: Use a Make-Up Setting Spray to seal in your work. ….WHO KNEW? xD The only problem is that I’m hesitant to buy either because out here in Canada the KVD –> $33 and MUFE –> $36 plus a whopping 13% sales tax. Gawsh I hate the HST…dumb harper govt. gawsssssssh jen expensive in CA! jeepers! ha….but sadly I doubt this conceals tattoos, nice stuff but not THAT pigmented! Could this cover stretch marks ???!!! 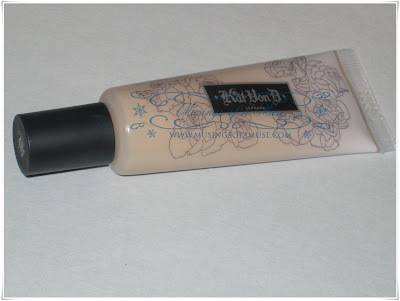 will the kat von d concealer cause me to break out or clog my pores? aw sorry Sam! I hate when concealers fail me :-/ that’s quite alright rant all you want! If it didn’t work for you it deserves a rant :D! I’m getting married in a few months and yes, I’m that stupid girl that at one time getting my bf at the times initials tattooed on my arm! Soooo, that being said I 1) don’t drink anymore 🙂 and 2) NEED to find a tattoo cover up! I was hoping Kat Von D’s tattoo cover up would be my answer but from reading your review am thinking that’s not going to be my solution. Any suggestions other than removal? No time or cash for that option. good stuff. worth the buy for small cover ups. I actually love this, annnnd I can cover my tattoos with it….